Inventory management involves a lot of juggling. Existing ships or new buildings. Where you can prepare and print Purchase Order, Purchase Order Register, Product wise Costing Report, Supplier wise Costing Report, Payment Made to supplier Report. The Purchase Management Software provides purchase activity functions, which includes purchase requisition to vendor, booking purchase orders, receiving ordered goods, quality check, goods return, generating purchase bills, payments to vendors and settlement. A comprehensive ERP solutions for Palletising Companies that covers & manages their entire business process. The ERP comprises of modules for Marketing, Inventory Management, Vendor Management Purchase Management, Manufacturing Process & Finance. Sale and Purchase of PC, Laptops, Printers , Mobiles, etc. T3 Purchase Management supports the entire purchase process from start to finish. For this purpose, abundant functionality is available including Pricing, Purchase Control, including requisitions, RFQs, contracts, schedules, orders, vendor management, Sales Control, including quotations, contracts, schedules, orders, commissions and rebates, and Relation Management. All Purchases will have to get approved before the expenses are incurred. This itself provides huge savings to the organizations are unnecessary purchases are not made. EIPR devise and implement pretext purchases and sting operations against counterfeiters and associated companies. 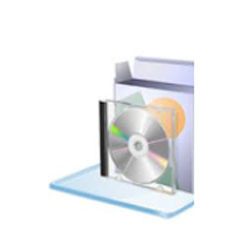 This Software encapsulates the whole Purchase cycle of Business. 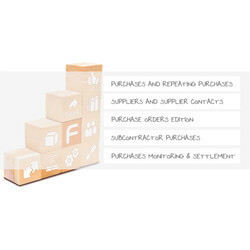 It helps you in managing your Purchase cycle and assists you in maintaing Vendors more efficiently.